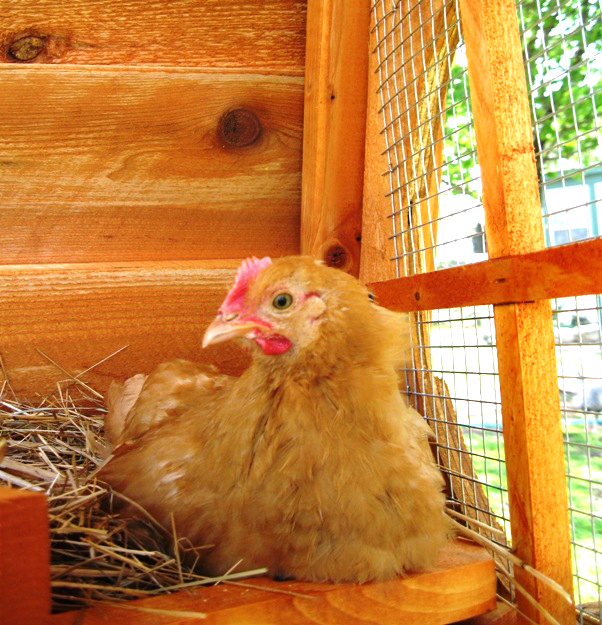 with nice nests for your happy hens! 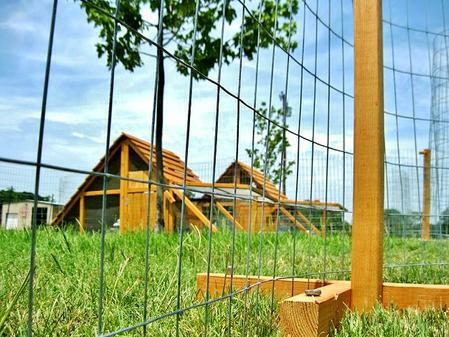 We think the best chicken coop should provide many roost bars for resting. 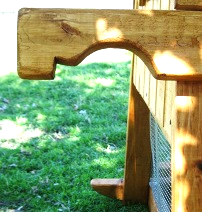 on the ground, along the sides of the coop to keep them out. many chicken coops - not even a snake. We do have lots of wild critters though, and we recently lost several prized hens when we forgot to close one of the coops for the night. to get under the coop. Just put coops on level ground, and keep an eye out for developing holes. 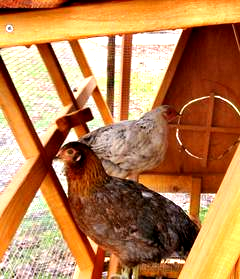 Move the coop if you see a hole beside it. If you live in fox, or marten country (fast diggers) then you should use precautions like the wire mesh idea, above. chickens, with two full-size side doors. 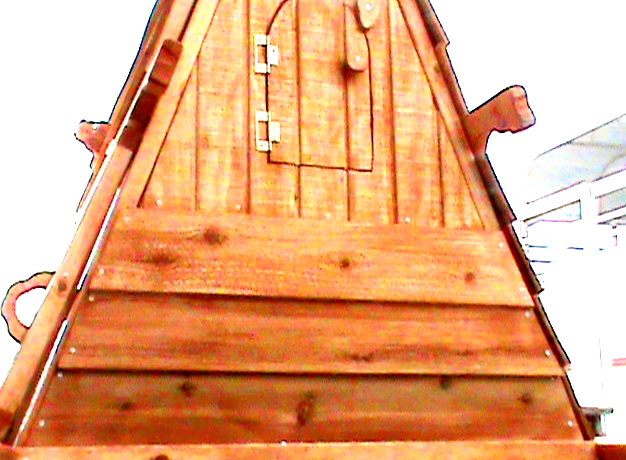 A cedar roof covers 75% of the coop. 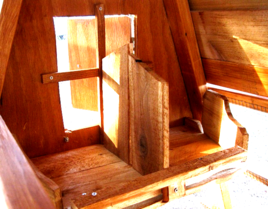 This coop is shipable - but NOT a "manufactured kit"
one at a time, especially for your order. - It's easy to follow our markings to put it together again. Note: The shippable style will be the "All-weather"